We’ve all seen the influence the pitch can have on the street, but now it’s time to see how the street can impact the pitch. Adidas recently unleashed the absolutely gorgeous ‘Earth Storm’ pack upon the world, bringing earthy browns, clays and beiges to three of their most popular silos. 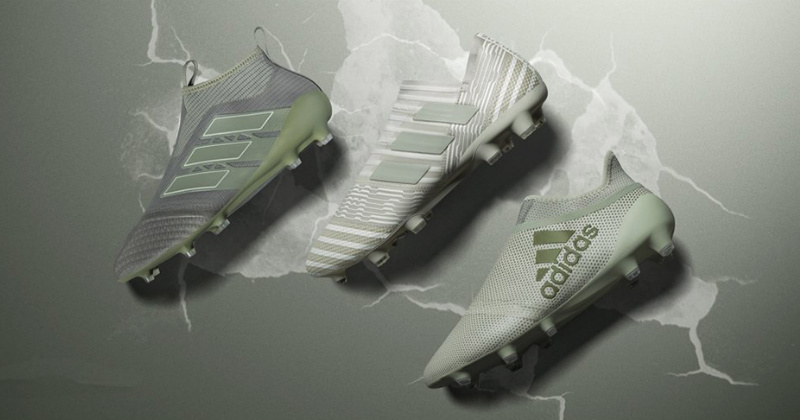 The Ace, X and Nemeziz have all been given stunning new makeovers just in time for Christmas, and it’s not hard to see the influence street footwear has had on their design. Incorporating some of the most innovative football boot technology you’re likely to find this season, and combining this with a colourway fir for the street, the beautiful ‘Earth Storm’ pack is offering you the chance to wear the best of both worlds. Ah, the adidas Ace. 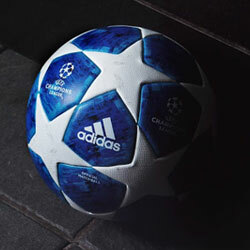 A true masterpiece of a football boot that’s perfect for those that like to control the game and dictate play. Sound good? Well, it’s a good job the fresh ‘Earth Storm’ design is an absolute banger then. Using a dark brown and beige colourway that runs throughout the rest of the new collection, the adidas ‘Earth Storm’ Ace takes a great deal of inspiration from footwear you’d normally see on the street. The unique colourway isn’t something we’ve been accustomed to seeing in the professional game, but we have to say it’s a welcome breath of fresh air in a year full of extravagant designs and flashy colours. 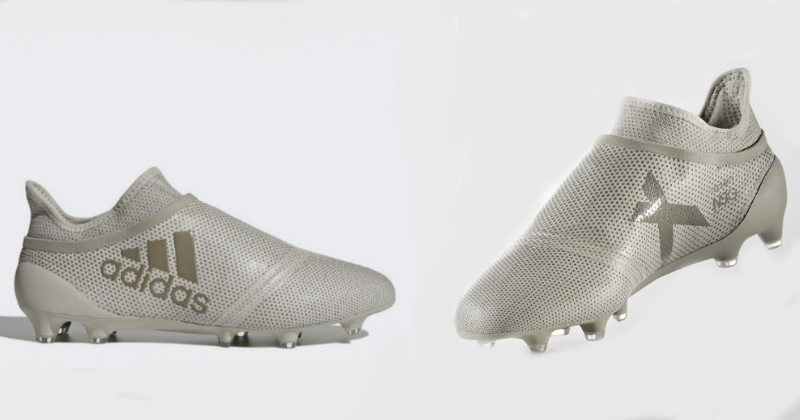 Making use of the Primeknit upper that has now become synonymous with the Ace, the new design gives players everything they need to take the world by storm… but also remember their roots while they’re doing it. 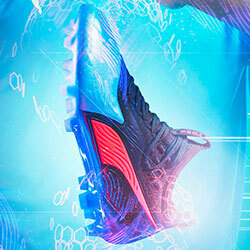 Speed, speed and more speed- yep, we must be talking about the adidas X. Incorporating a techfit upper to improve stability and quick turns, the X silo has always been the go-to football boot for any players keen on unleashing their explosive pace. Well, the new design certainly doesn’t change that fact, and you’ll soon be kicking up dust in these Earthy beauties. The adidas ‘Earth Storm’ X boots offer a much lighter, breezier colourway than the Ace; showing off an almost-sandy coloured upper, the X is yet another design that’s drawn plenty of influence from the street. The speed skin exterior is adorned with a dazzling dotted pattern, offering the sleekest design of the collection and allowing those pacey wingers to do their jobs in style. 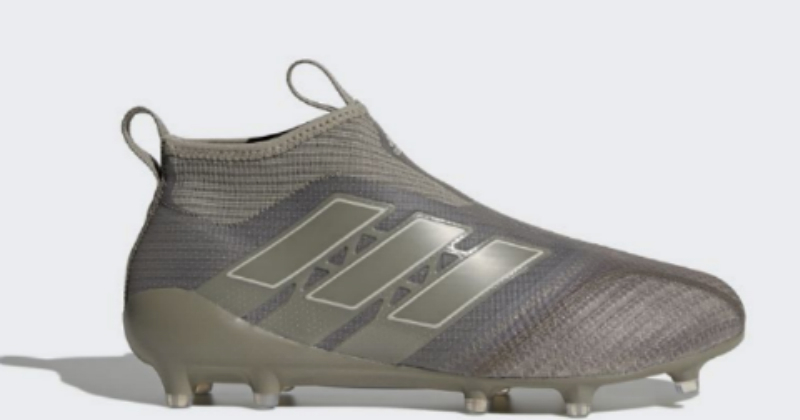 Last, but certainly not least, we have the adidas Nemeziz. 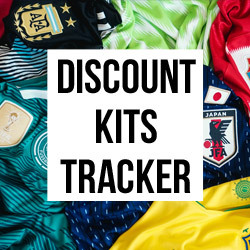 Optimised for quick changes of pace, turns and all-round trickery, it’s no wonder why the Nemeziz has gone on to be an absolutely global phenomenon. Well, when Lionel Messi is the poster boy, you could probably sell just about anything, let alone a pair of awesome football boots. The adidas ‘Earth Storm’ Nemeziz boots use a sesame, brown and white colourway to create a gorgeous take on the iconic Nemeziz design. 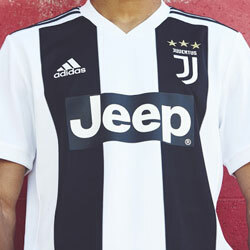 Using the narrow stripes that have become synonymous with not only the Nemeziz silo, but the adidas brand as a whole, this is perhaps the most dazzling addition to the new collection. 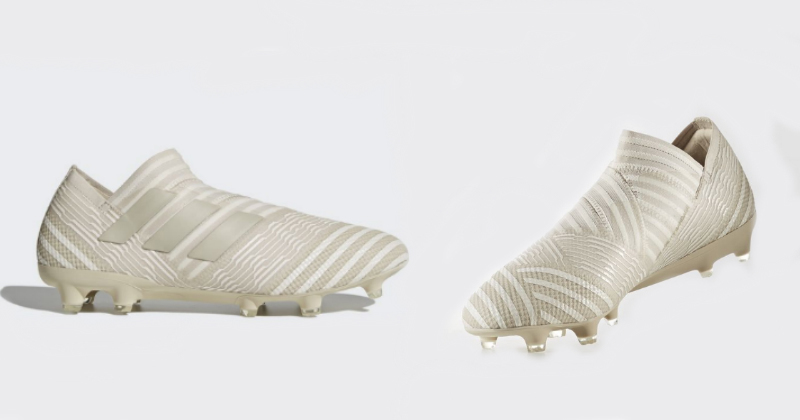 Giving wearers everything they need to look good on and off the pitch, the new Nemeziz boots are sure to cause quite a stir once Messi gets his feet into a pair. Introducing the #NEMEZIZ Tango from the Earth pack. So what do you reckon? 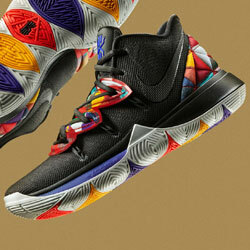 Are you big on the ‘Earth Storm’ pack or do you prefer the other designs released this year? But whether you’re after ‘Earth Storm’ ‘Ocean Storm’ or ‘Pyro Storm’ football boots, FOOTY.COM compare prices to make it easier than ever for you to find the best deals! Browse our collection today to make yourself a big saving this Christmas!